The 34th Legislative District includes part of King County including Vashon and Maury Islands, West Seattle and part of Burien. The 34th LD is represented in the House by Rep. Eileen Cody & Rep. Joe Fitzgibbon, and in the Senate by Sen. Joe Nguyen. 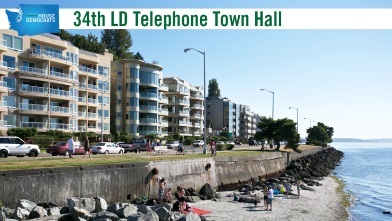 The 34th LD is hosting an Access Live event to discuss the issues that are important to you. Please join us and engage with your lawmakers about what is happening this year in Olympia.